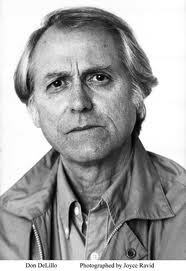 Upon winning yet another award (the PEN/Saul Bellow, one of the increasingly confusing constellation of awards sponsored or cosponsored by The PEN Center), Don DeLillo submitted to an interview that, among other things, required him to offer a few thoughts on the digitization of arts and letters. The question is whether the enormous force of technology, and its insistence on speeding up time and compacting space, will reduce the human need for narrative—narrative in the traditional sense. Novels will become user-generated. An individual will not only tap a button that gives him a novel designed to his particular tastes, needs, and moods, but he’ll also be able to design his own novel, very possibly with him as main character.